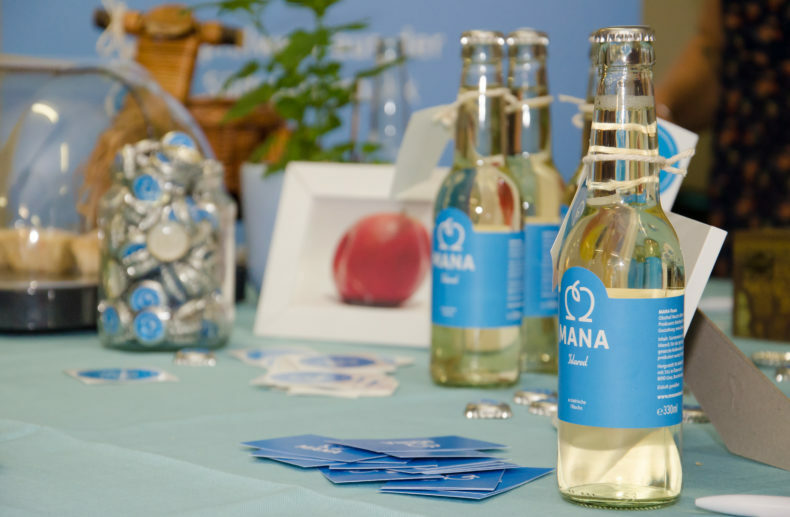 MANA is a vegan sparkling apple wine with a South-Styrian origin that is made of apples of the type Idared and Gala. They are neither perfect nor flawlessly beautiful but all the more tasty. ‘Why wander around in the distance, when good things lie in the region?’ That is the motto of MANA, behind which there are Markus Kehrer & Natalie Resch. 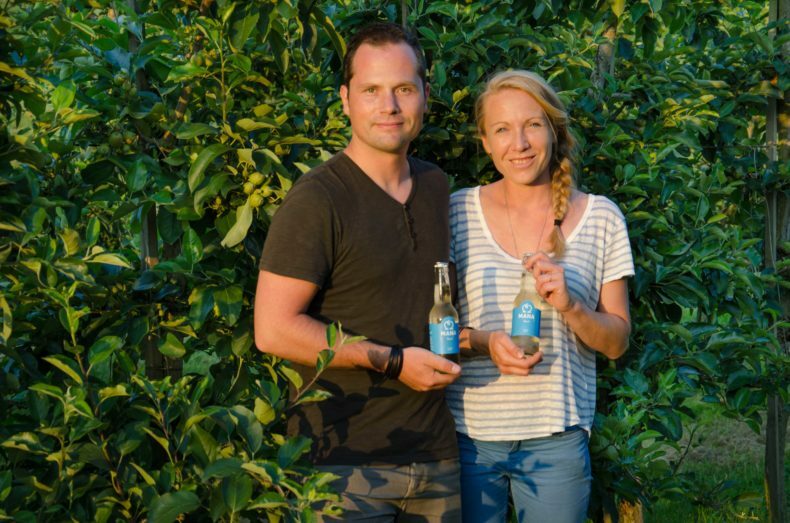 The two young entrepreneurs wish to add regional value and taste to a Styrian bottle. 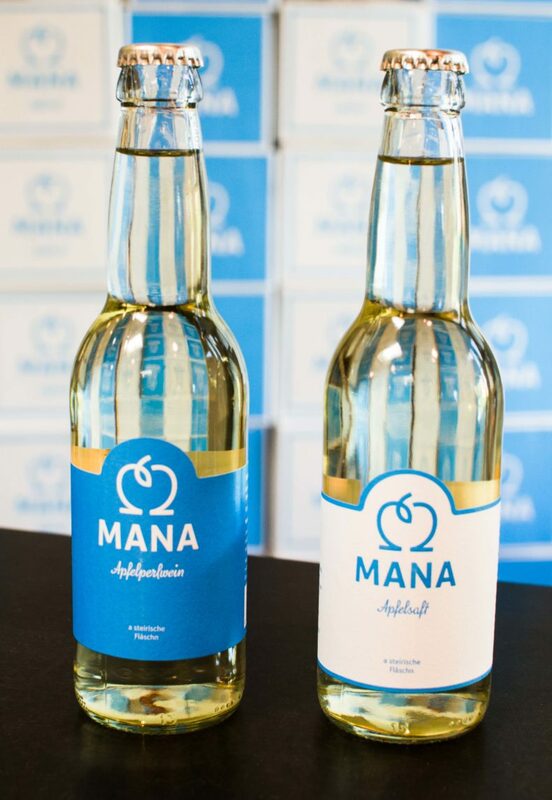 MANA is made just of fresh apples, produced only once a year and is a refreshing, medium dry apple wine with an alcohol content of 6.0 % per volume. Every year the manufacturers harvest sun-ripened apples from a small-scaled farm in Gamlitz that is run by Natalie’s parents, Alberta & Franz Resch. The award-winning winemaker Reinhard from the neighboring winery MUSTER.gamlitz controls the production process. Each vintage has its own individual character, which does increase the demand. Resch explains that ‘Following the wine tradition, the full flavor of the apple varieties Idared & Gala develops the best in a wine glass at a temperature of 7 degrees.’ Still, also as a to-go-drink in the handy 0.33 l bottle, MANA with its soft sparkle and its puristic character (insider know-how: different from the cider, there is no fruit juice added to the apple wine) is a refreshing delight to the palate. No matter if agriculture or creative industry (photography, graphics, design), MANA combines local know-how and creativity. In terms of cooperating with small-scaled companies, the founders put a special emphasis on sustainable relations and traditions. They mainly use apples with natural rough edges but prime quality, which are sold below their value by commercial companies, and pay a fair price for them. At MANA it is the inner values and the great taste that makes a product count. 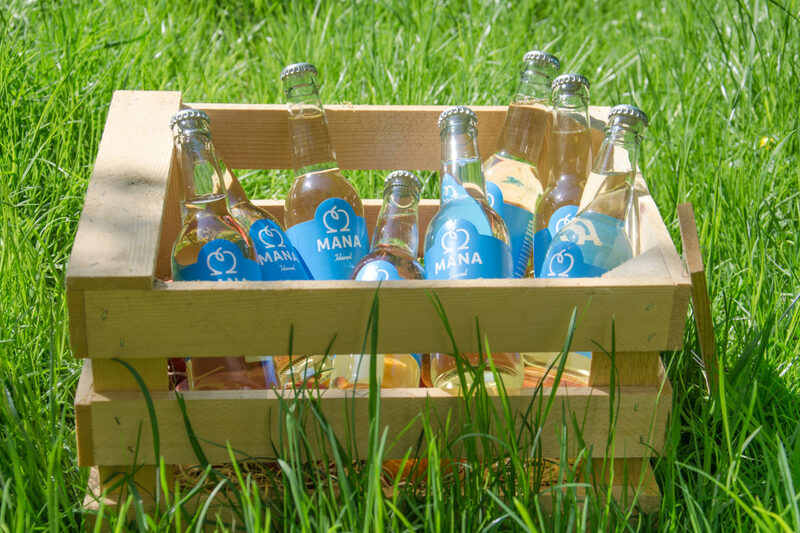 You can order MANA online throughout Austria at myProduct.at | Free delivery within Graz from 1 crate of MANA!